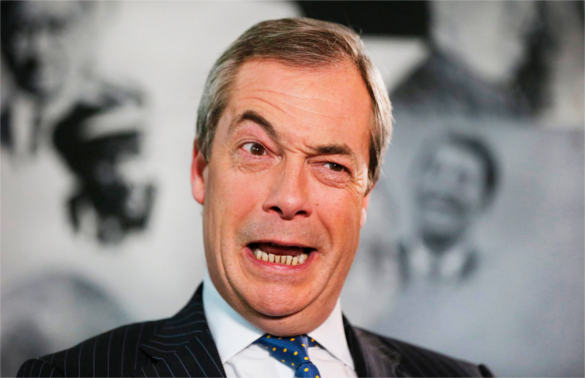 Former Ukip leader Nigel Farage has announced he will not stand as a candidate in the upcoming snap General Election. In an article for the Daily Telegraph, the pro-Brexit campaigner - who had tried and failed to be elected as an MP seven times - also admitted that he thought the Conservatives were on course for a landslide victory on June 8. Instead of standing for an eight time, he said he believed his energies would be better spent in his role as an elected Member of the European Parliament while the Brexit negotiations take place. "I have decided that I will not stand in this election but fight for Brexit in Europe,” he wrote. He said he had been "tempted" to stand in Clacton after the announcement by Ukip's solo MP, Douglas Carswell, revealed he would be standing down. But, he added, while it would be a "personal vindication" to finally get into the House of Commons, there was "no comparison" with how much more he could as an MEP. “The Brexit negotiations will take place in Brussels and the European Parliament will not only have a large impact on them, but ultimately will have the right of veto any deal at the end of the two-year process," he said. He went on to say he expected the Tories, led by Theresa May, to secure a large majority in the election as Brexit supporters try to ensure a progressive alliance between Labour, the Liberal Democrats, the SNP and the Greens cannot reverse the process.